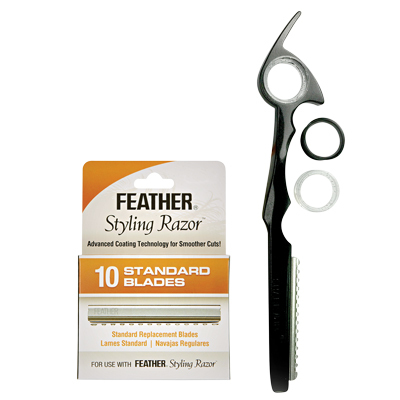 Black aluminum razor with Feather blade. Features patented Shark Fin handle and Finger Fitting System. 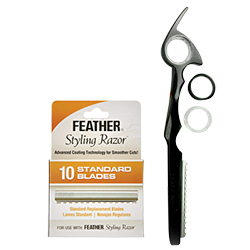 Includes 2 custom ring guards and a pack of 10 Feather brand blades with guard.